Samantha Crawford, an acclaimed storybook artist, seemingly had it all until losing the love she cherished most. Now fighting despair, she is obsessed with tracking down the murderer of her husband. With no leads and no hope, Sam prepares to take her life until providence intervenes and she is reunited with her childhood friend, Joe Bradford. Dying of kidney disease, Joe spends his last days serving fatherless children in an under resourced community. Observing Papa Joe's tireless love for 'his kids,' Sam begins to find new purpose until she comes face to face with her heart's desire. The innocence and hope of a child competes with the lure of revenge in an effort to show Sam how, even in life's darkest of circumstances, Love is above all. Unconditional by Eva Marie Everson was published by B & H Publishing Group in September 2012 and is our 19518th best seller. The ISBN for Unconditional is 9781433679469. 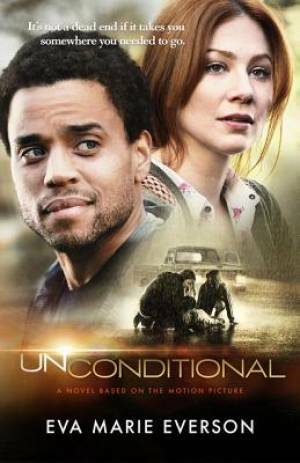 Be the first to review Unconditional! Got a question? No problem! Just click here to ask us about Unconditional.